Zohar Sharon won his fourth world title in the B1 division of the World Blind Golf Championships on July 17th. In the early 1970s Sharon was an IDF member serving as a security guard protecting Israel’s nuclear reactor in the southern Negev desert, and that is when he was accidentally exposed to a poisonous chemical, which ultimately left him blind. It is this condition that led him to Beit Halochem and the sports activities it offers. 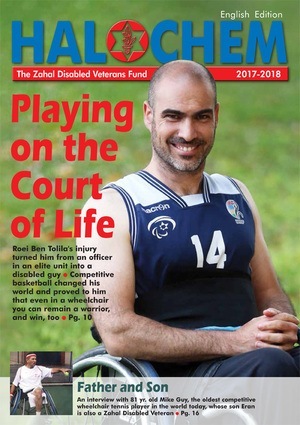 We are proud of Zohar’s commitment to this wonderful sport.